Your privacy fence is an extension of your yard, so shouldn’t it be just as stunning and functional as the yard it graces? At Chesley Fence & Deck, we believe so. That is why we offer exquisite fencing options to better suit the flair of each yard and homeowner in the Carlyle, Illinois area. 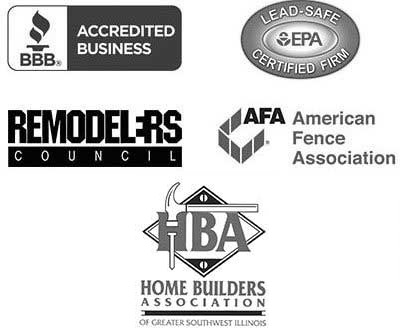 And, we always use our own employees, not subcontractors, to install your fencing to ensure that it is installed up to our stringent standards. Most homeowners value their privacy, and adding a privacy fence can provide just that. 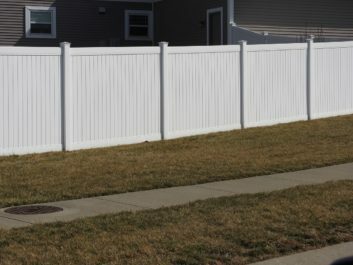 Here at Chesley Fence & Deck, we offer three unique fencing options to provide the security and privacy that most Carlyle, IL homeowners demand. Our fencing options include the following. Made in the United States by industry leader CertainTeed, our vinyl fencing outshines all other similar fencing options on the market. It is durable, low-maintenance, and installed deeper than our competitor’s fencing for increased durability. Our aluminum fencing has no rivets or screws for a seamless appearance, will not flake overtime, and can be installed with two inches between pickets rather than the traditional four for increased privacy. Our cedar fencing resists the cracking and warping often associated with traditional wood fencing. Plus, we use true 2×4 rails to enhance the sturdiness of our fencing. While our products are manufactured with the highest craftsmanship, we also back all our fencing with exceptional warranties. For example, all our vinyl and aluminum products are protected by a lifetime warranty. And, we even offer a three-year warranty on labor. Achieve the privacy you have always wanted for your yard. Contact Chesley Fence & Deck to have a privacy fence installed. We are happy to serve homeowners in Carlyle, IL and all of Clinton County, including Beckemeyer and Germantown. Your crew was prompt and courteous.